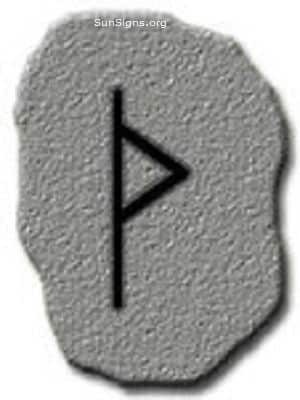 Great strength is found in the Thorn or Thurisaz rune of the Elder Furhark, strength of body, strength of mind. With the thorn rune present your enemy cannot stand, be it ignorance, or frost giant. Thor governs this rune, with Mjolnir in hand. Wisdom and Awareness are the lessons of this rune, the shining light that will see you through the darkness of ignorance. Before the thorn, all things crumble. It will pierce the veil of ignorance, crumble the hard soil to prepare for the seed, and clear away fear and ignorance so that enthusiasm may grow in its place. The Thurs represents tools, both the handle of the simple spade, and the haft of the mighty axe that is used to strike down ones enemy. Thorn will fire you through creation, giving you the clear light and energy to pursue the goals you would see complete. When you are pursuing your goals, Thorn will sit like a burr in your saddle, pushing you forward with the need to complete it. So also is the energy of Thurs, it is a gateway rune. Power like water behind a dam, directed through a turbine it will generate electricity that can be put to useful work, but break the damn and it will lay waste to all that lay before it. The Merkstave Thorn rune, burning arrow of the clouds. Deep within the mind the trouble brews, unseen by those without, are you watching for the deceiver in the brush? The Kinsmen turn upon each other around the hearth, like wolves upon the last drops of ruby rain in winter. There is no resolution, all words are swords, none are salves. 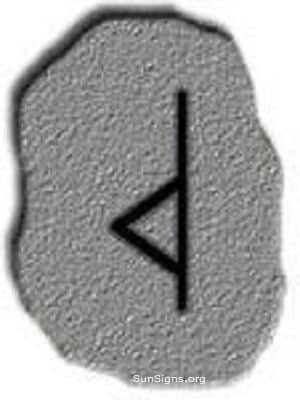 When the Thurisaz rune comes in the dark, the seer must divine the way, the lightning crashes through the heavens and sets the forests afire. The mountains roar as their white locks rumble down over the cliffs and valleys to crush the longhouse beneath its tresses. Beware the Merkstave Thorn, it is energy undirected, chaos unleashed. When the Merkstave Thurs rune appears, one must take care with acts of aggression, their underlying complexities will turn around like a snake upon itself. In your mind it will twist in the shadows, bringing up those thorns that will dig into you, breaking down the strength within, with the Merkstave rune in place, one must guard against these. Be warned.